14.5" x 3.25" x 35"
Sophisticated. Elaborate. The Melody collection features an intricate design with a double row of aluminum tubes. The chimes are delicately tuned to a variety of musical scales. 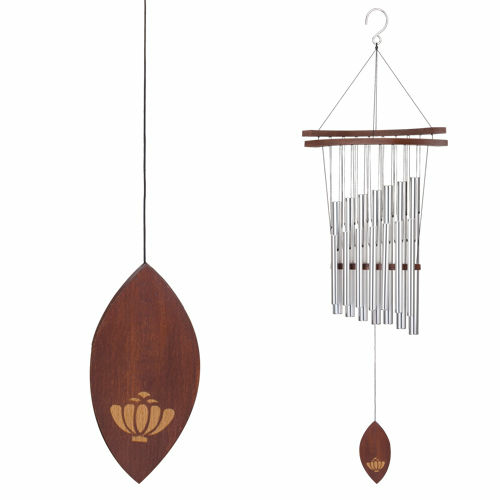 This collection, with an Asian inspired wood canopy and laser engraved wood sail, will invite kindness and tranquility to any space.